Impressive cliff coastline at the inlet of Caló de Rafalet. The amazing talaiotic settlement of Torralba d’en Salort. 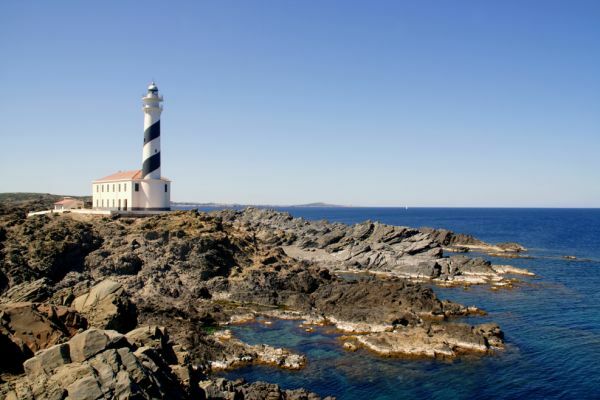 The candy-striped lighthouse on the rugged Cap de Favàritx. A huge amount of work has been completed around Menorca, clearing old trails, creating new trails, signposting and waymarking them to allow walkers and cyclists access all over the island. When a friend in Mallorca told me how good the walking was, I couldn’t wait to get there, and I found it a fascinating place to explore. Chief among the newly waymarked routes is the long-distance Camí de Cavalls, or GR223, which completely encircles the island and takes about ten days to walk. Although many stretches are coastal, it also spends plenty of time inland. The route largely follows a centuries-old route used to deploy troops around the coast whenever the island was threatened with invasion. The cliff coasts and sandy beaches are incredibly scenic, while inland lie woodlands, bushy scrub and old fields criss-crossed by drystone walls. The southern stretches link several small resorts, while the northern stretches are surprisingly remote. The book also includes a four-day coast-to-coast walk from Maó to Ciutadella, linking Menorca’s two small cities with a handful of small towns. Dotted around the island are several day-walks, and many of these link with the longer trails. Altogether, there are enough walks to occupy the feet of a keen walker for a whole month on this small island. 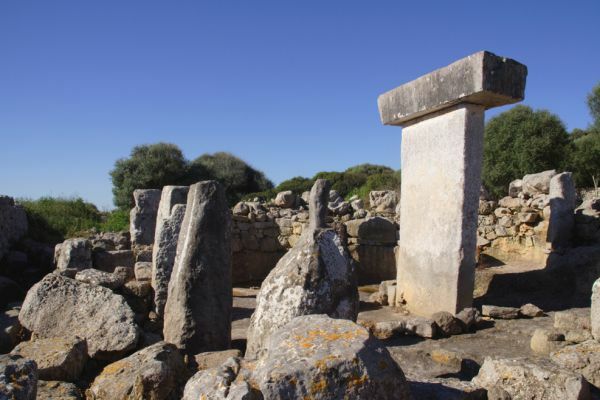 They explore the coast and inland parts, visiting villages and amazing ‘talaiotic’ settlements, as well as many other interesting and intriguing archaeological remains. 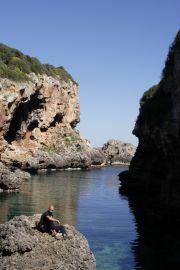 Menorca was, for almost a century, a British possession, and Britons make up the bulk of the island’s holidaymakers. Although it can be a busy place in the summer, it is much quieter in the winter months, and walking conditions in winter can be quite good.